The Lincoln Memorial in Washington, D.C., made from white Colorado marble, was dedicated on Memorial Day 1922. Eight million people visit the memorial each year. 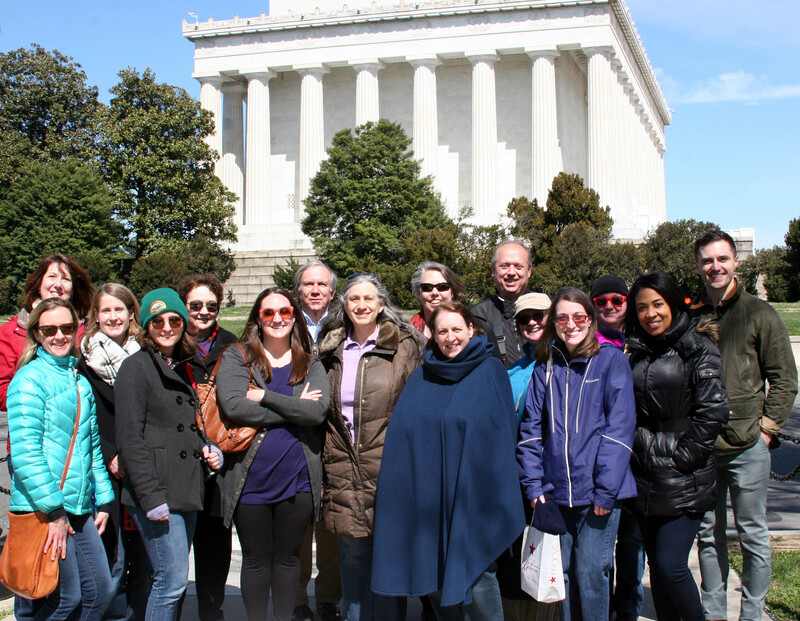 Members of the staff of the Advisory Council on Historic Preservation toured the undercroft of the Lincoln Memorial on March 28 prior to the start of a major rehabilitation project that is expected to take about 20 months. The National Park Service expects the project will be completed by the 100-year-anniversary of the opening of the memorial in 2022. Through a donation, a larger visitors’ space will be created below the memorial, more restrooms added, security upgraded, and accessibility improved. The undertaking included a Section 106 review and consultation. The NPS met with consulting parties and signed a Memorandum of Agreement to address adverse effects of the project to the historic building. Doorways that are currently 36 inches wide must be enlarged to 72 inches to meet fire codes. Part of the mitigation includes documenting the doors as they are now. The new visitor exhibit space will not only focus on President Abraham Lincoln but will tell the story of the memorial and its construction, as well as what the memorial has come to mean to the people of the U.S. The donation also paid for a recent roof replacement project, repair of damage from the 2011 earthquake, drainage improvements, stone repair, mortar joints repointing, and replacement of skylight glass.